Targeting 48V server, 48V automotive and 54V data centre applications, the EPC2053 has been introduced to the eGaN FET family. The 100V, 3.8mΩ FET is available, alongside the existing EPC2045, EPC2025 and EPC2051 devices. The company describes the GaN transistors as more efficient (up to 97% efficiency), smaller, and lower cost than silicon for high performance 48V DC/DC conversion. The 100V family can be used in a variety of applications, from single-stage 48V to load open rack server architectures, USB-C, precision motor drives, LED lighting, and lidar. Alex Lidow, EPC’s co-founder and CEO, believes: “There are very significant performance advantages gained from GaN in 48VIN conversion and this is a market where growth is exploding for . . . applications, such as artificial intelligence (AI), cloud computing, and advanced high-performance motor drives.” He also points out the move in the automotive market away from 12V distribution systems to 48V systems to support autonomous vehicles with lidar, radar, camera, and ultrasonic sensors. 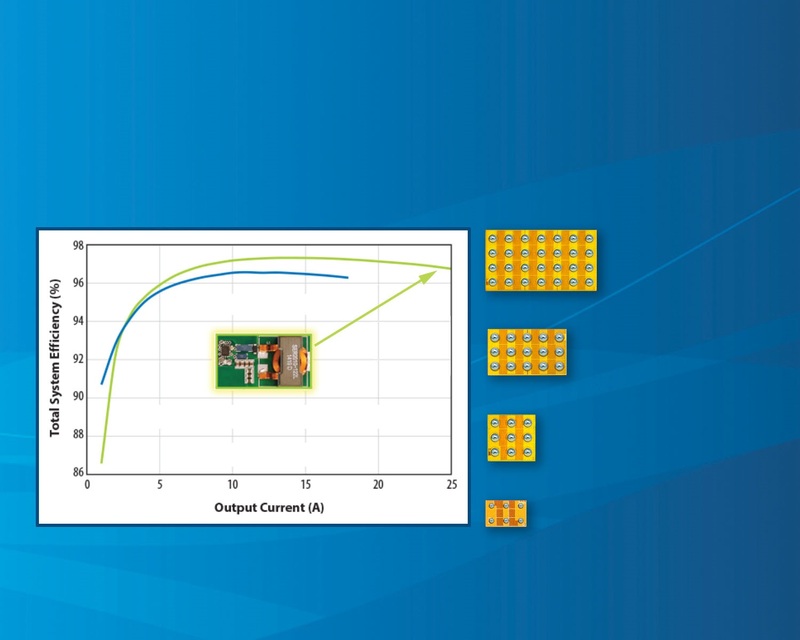 48V IN topologies can benefit from using GaN devices due to their lower capacitance and smaller size, says EPC, and recent reductions in GaN power transistor pricing mean that they are price-competitive with equivalent silicon-based converters, argues GaN. The company also offers two reference designs and five demonstration boards to evaluate the 100V eGaN FETs. The EPC9138 demonstration board is a 400kHz switching frequency, 48 VIN, 15A output current, buck converter featuring the EPC2053. The EPC9141 demonstration board is a 400kHz switching frequency, 48VIN, 10A output current, buck converter featuring the EPC2045. Standard half-bridge development boards are also available to support in-circuit performance evaluation of each of the family’s devices.